I believe my signature should cover the pool layout good enough. I will also post pictures. First some background. 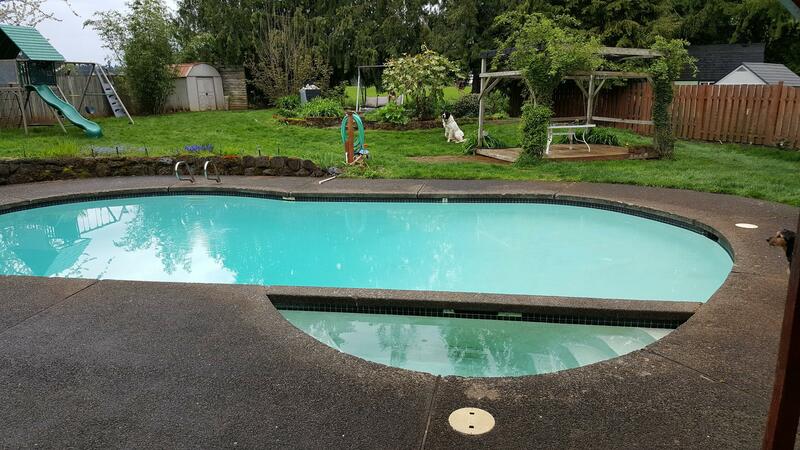 I am a new pool owner. I purchased this house last June and finished up the season using the TFP method which worked amazingly well. I got tired of hauling the bleach from home depot and pouring it every other day, so I installed a SWG just a few days ago. 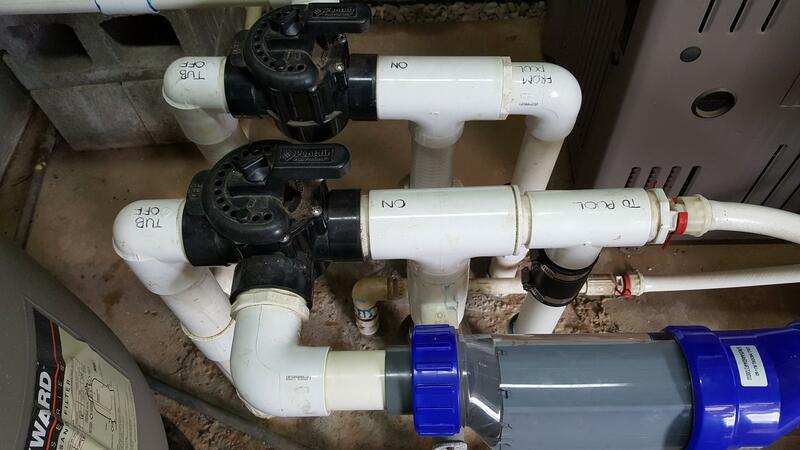 It's working great, and none of the plumbing I re-did is leaking (first time working with PVC in plumbing, ever...). I found out that my Hayward 244T's sand is about 16 inches from the top instead of 6 inches so that's a problem, but not something I care to fix right this moment as my water is clear. The pool was built in 1971, a couple years after the house. I assume the spa was built at the same time. When I am in the spa, I've always noticed that there's a small return jet that is near the bottom of the spa which always spews cold water (pool temperature water) into the spa. 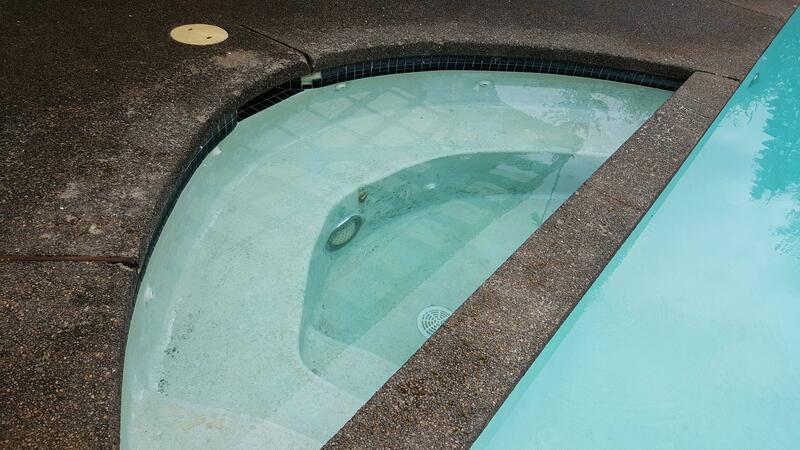 It's low flow, so low that I just assumed it was some sort of hydraulic balance PVC that ran between the pool/spa in order to ensure the SPA always had water, but didn't draw from the pump. Unfortunately, I have no pipe blueprints or diagrams. Now, sometimes, there's no cold water coming out of this mystery return line in the spa. I've thought it may have something to do with water level, but I'm not sure. The previous owners left notes and I even have some notes from the first owner of the house when they sold it sometime in the 1980's. 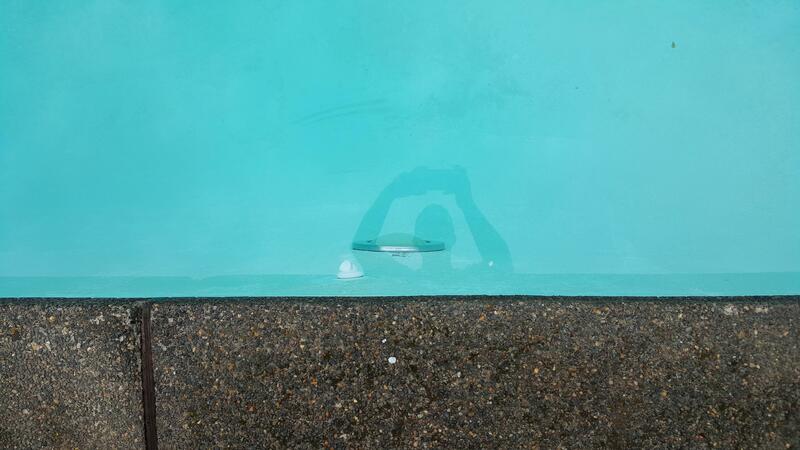 They both mentioned that the pool fill line is essentially a few millimeters below the height of the spa's spillover. Makes sense, since you don't the pool water spilling over into the spa. I never really cared much about the mystery spa return line since it's not impacting anything. Until now. Now - my SWG is generating chlorine and I installed it according to the manufacturers recommendation for variable speed pumps. AKA, it is powered on all the time and the flow control valve controls whether the SWG is on or off. The SWG is on the main return before the return splits into spa/pool at the 3 way. 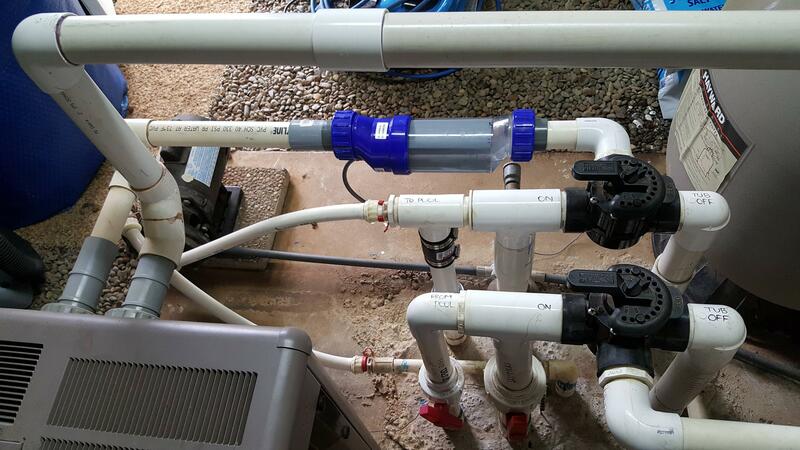 The flow control is on one of the two pool return lines so that it should only be capable of generating chlorine when the 3 way is returning water to the pool. 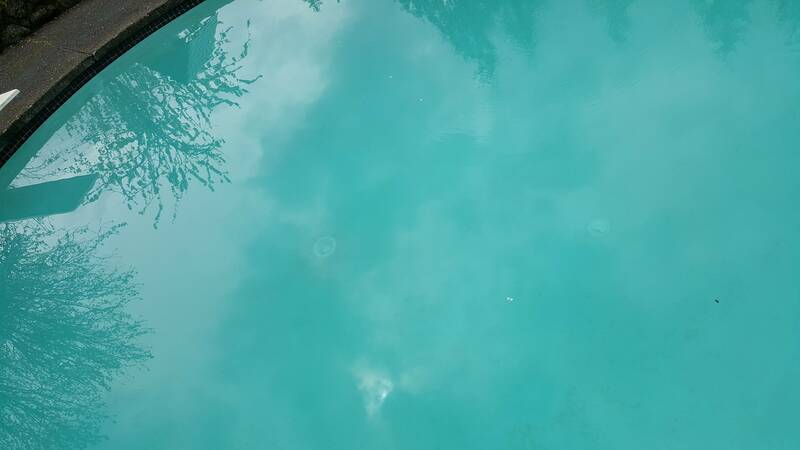 Now, the SWG produces bubbles in all of the pool returns. I've read the TFP thread that went into this in depth, and they are just hydrogen bubbles (tested with a lighter and got ignition pops). I'm not worried about that, but it brought something to my attention. That mystery return line is putting chlorine into my spa!! So now the mystery return really does matter to me. 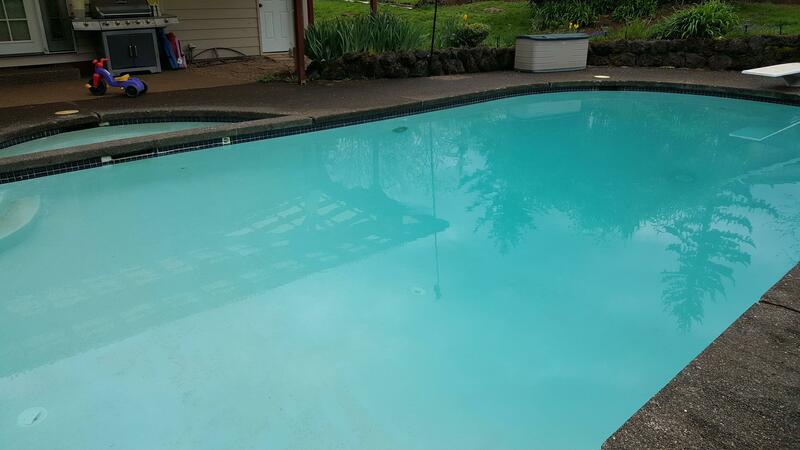 I know that the water circulates between my pool/spa, but I fear not enough to balance out the chlorine going directly into the spa. The last thing I want is a nice 100 FC spa to jump into and boil my families skin off. I could obviously just plug this mystery return, but that's just a workaround. Does anyone have any idea why that return line is there? 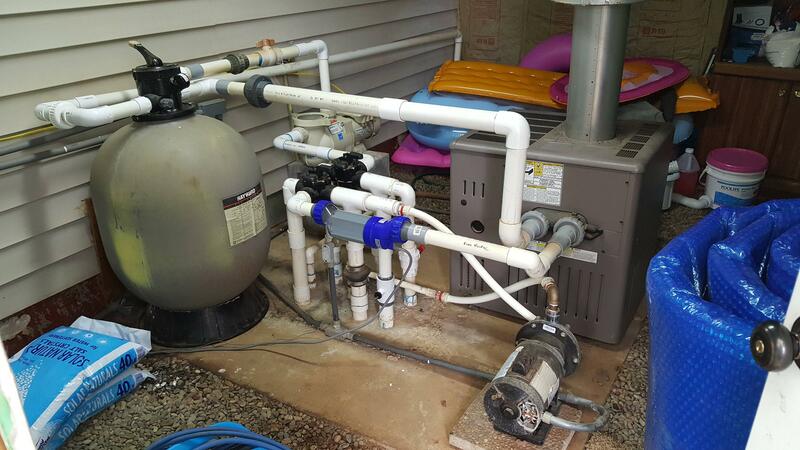 How is it pulling water from the pool return? 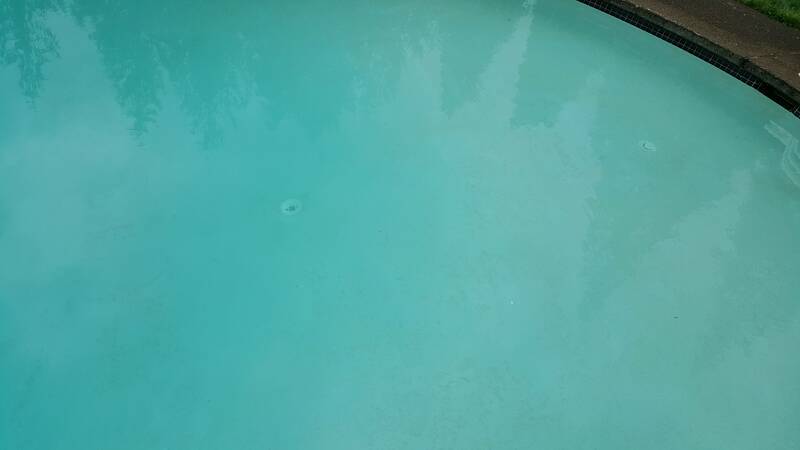 It must obviously be T'd off the pool return considering that it has hydrogen bubbles, so it is obviously not just pulling water from the pool directly. What gives? Is this a normal design? What might I do to combat this? What's the right thing to do? Also - note there's already a 2 inch hole/passage way directly between the pool/spa. I can't upload more than 250KB apparently, so I'm going to host it elsewhere and post the links. I can't help with the mystery return but I can address the sand filter. So long as the correct "poundage" of sand was added you are good with how much is in the filter body. This comes from the filter company. We just had that come up with a new build. I will be on the look out for the answer to the return. I am VERY curious to see what you find out. Hummmmmmmm Have you played with your knobs to see what happens when you close this one or that one? Of course make sure you have a current picture of how they are set up now so you can put them back there when you get done messing with them. Normally you have (1) pool return in the spa so when the pump is running you are circulating water into the pool and spa. The spa then spills over or runs into the pool. If the spa is warm you may feel cool water just from water pressure from the pool pushing a small amount into the spa. If you did not have this then your spa would just sit stagnant when the pool pump was running- would not get chlorine and would turn green. I suggest you obtain one of our recommended test kits and give us full test results form both the pool and the spa taken in the morning and afternoon on a couple of separate days. Lets find out if there is a problem here. If I read this correctly you pool gets no circulation unless you run the spa? So I suspect that is a pool return doing just what blake states giving you some circulation. The drain should be pulling some out so your water will be circulating. But if you want to check do some tests and post some results. Well, I was already checking to see if my theory was correct (that the Spa was getting chlorine and was going to get overloaded with it). Here's the first 3 days with the SWG and the FC results in both the pool and Spa, taken at the same time every day. I have the Taylor k-2006 and Taylor k-1766 salt kit. I honestly felt no need to really prove the rise in FC, considering I saw the bubbles coming out of the ends of the returns pipes (which was new since installing the SWG) I knew that it was sending chlorine in the Spa and Pool at the same time. The question was whether the circulation would offset it such that they balanced out. The answer is a resounding no. That being said, I was thinking about how I might go about solving this. For one, I don't know which of the two pool return pipes that go into the pad are connected to the pool and which is connected to the spa. Luckily, one of them has a rubber slip coupler so I'll just slip it down and blow on the pipe. That should narrow down which pipe provides water to which returns. Hopefully the Spa return is on a separate pipe so that I can just work with it from the pad. If that is the case, I was thinking I would just divert some of the water (25%? not sure how to do that precisely) BEFORE it gets to the SWG and send it down to the Spa (with a valve so I can control it and not have pool water coming in when the spa is running if I prefer - in order to heat up faster). If instead the Spa return is T'ed off of a pool return under the concrete, that'll make things considerably worse. 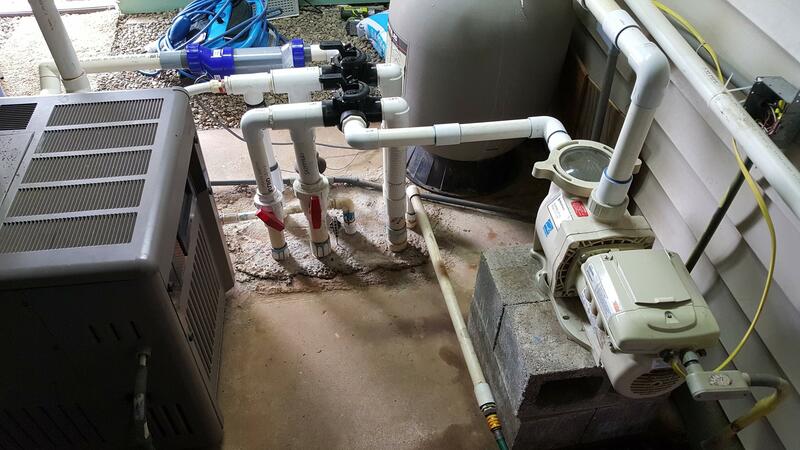 I could plug the return jet and then rely on the 2 inch hole between the pool/spa. However, I'm guessing that would not work and it would stagnate eventually. So, I'm just going to hold my breath and hope that's not the case. Are my ideas reasonable? Am I missing something? Thanks for the help and feedback.